Why go grey rather than an official import? The thing which attracts most people to the Japanese car is the higher specification over the export model. Generally they are higher performance and are better specified internally and externally. There are a number of different WRX models available ranging from the WRX in 4 and 5 door form, an uprated WRX STi and 2 door coupe and finally a 4 door for adapting to rallying. The WRX achieves the higher power output over the export version by using a bigger turbo and intercooler, run by a different engine management setup. The engine is generally stronger allowing a greater potential for tuning. This all sits under a lightweight alloy bonnet. Price varies depending upon where you choose to obtain your car. There are some specialist import dealers (note these are NOT Subaru franchise dealers!) who offer everything from part exchange, warranties, and service facilities, everything in fact that your normal Subaru dealer would (several are actually ex-franchise). Then at the other extreme we have import companies who will charge basically the cost of the car in Japan, shipping, VAT and car tax plus a 5% commision. There is also the option of importing the car yourself and this can be a very cheap way of obtaining a car. The most surprising thing to most people is the cost of of the car in Japan. 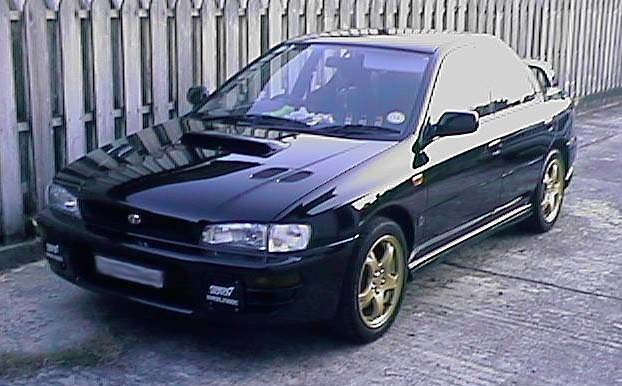 A very well specified WRX STi6 Type R is approximately 3,250,000 Yen (end 1999) which equates to £19,700 (165Yen/£) where the lesser UK 215bhp model is just under £21,000! Of course we have to compare like with like as bringing the car to the UK will raise the price due to taxes (Import Duty, VAT and new car Tax) and you would expect to pay anywhere from about £24,000 to £32,000 for the same car depending on the source you are dealing with and the exchange rate at the time. New cars are not the only option and many used cars are imported from Japan. These can be a source of a bargain but lack of history and the inability to talk to the previous owner can be a problem. Cars are also modified by their original owners and the risk here is that there could be complications on arrival in the UK. Japanese thoughts on engine tuning, bodywork and suspension mods do not always match with European taste! Speedo from kph to mph. The speedo modification, depending upon the model and age of the car, can involve either replacing or recalibrating the speedo. Note an export speedo from a UK spec. car does not generally fit the Japanese car, one being cable driven and the other electronic. Also the layout of the instrument panel on the Japanese specification model is something people are attacted by. To replace the "rev counter central" pod with a UK "speedo central" would be seen as quite a retrograde move. Some modifications involved fitting a small gear box converter to the speedo drive, with other years doing a similar thing with electronics. This modification also solves the distance being recorded in km and not miles, but we have heard of some of the mods not being too accurate with as much as 10% over reading taking place on both speed and distance. Also not much can be done about the kilometers already on the clock....the car over night has suddenly gained 50% more mileage. The fuel filler has to have a restrictor fitted so that it will only accept an unleaded petrol pump nozzle. The New Age Impreza has an option in Japan of HID headlights. These lights will not pass the SVA under European standards which require HID headlights to be auto level adjusting and include a washer mechanism, neither of which are available. An importer fell foul of this on importing the first batch of Mitsubishi EVO 7, all fitted with the optional HID headlights. The Japanese have an agreed power limit of 276bhp (280ps) and also an agreed speed limit of 112mph. Hence any car bought in Japan and then imported will have a speed restrictor built in. Most importers remove this, some will actually charge extra. Some of the speedo conversion modifications get around the speed limiter as the car now reads 180mph, not 180kph when it cuts in ;-) As the car is being sold into a market with 112mph top speed, it has been known for the tires only to be equivalent to this, ie NOT V rated which they should be! The Japanese FM radio frequencies are different to those here in Europe and do not pass 100MHz. This means the radio supplied with the car will not be able to tune pass this frequency. A frequency expander is available but the radio will then show the incorrect frequencies when tuning. The aperture size for the radio is also the less common double DIN size that restricts the choice of available replacements or requires an adapter. There is increasing pressure by Subaru UK upon its franchised dealers to have nothing to do with the grey imports. This will mean that it will be difficult to get you car serviced by your local Subaru dealer as they will be reluctant to risk their franchise. Also spare parts may become difficult to obtain and I have heard of WRX owners being turned away when it was found the spare part being ordered was for an STi. Even things like a full set of 17in alloys down to a humble fuse have been refused. You will be pushed into using a non franchised outlet but this can have quite a few advantages, cheaper labour rates, cheaper spares in some cases and more customer focus. For a growing list of such specialists checkout the IWOC recommended grey list. There are subtle detail differences which make the WRX varients slightly different to the export versions. Thus some spares might not be entirely compatable (the official reason given by Subaru UK) and cause damage to the engine/car and at worse cause a safety issue. There will be some parts, like the speedo which will be entirely incompatable and unavailable via official channels. If a problem occurs fault diagnostics are difficult as the normal turbo diagnostics computer (the Select Monitor) does not work properly with the Japanese spec. cars. Even body panels are different with alloy items being used for the bonnet, and if you go for a type R, only the front wings are compatable. That rear windscreen with its wash wipe could also prove interesting to replace, whilst all of the windows have a slightly different tint than the UK cars. There is also the issue of the WRX service manual and micro-fiche...they are all in Japanese! If things should go wrong then you will have needed to obtain a third party waranty (note the more expensive options normally include this). The Subaru warranty the car came with is only valid in Japan. The warranty on UK specification cars are provided by the importers International Motors, not Subaru. The problem of obtaining parts, whether true or not, has affected insurance premiums. In some cases the premium for an equivalent WRX is 100% more than that for a UK car! So I would recommend that you should obtain a quote before deciding on a grey. Also if you are on a tight budget and looking at an older model the performance differences are not that great. You may well be better off with a UK car. The harder dampers of the suspension have sometimes been critisised as being too harsh, and some magazine reviews have preferred the handling of the UK turbo. 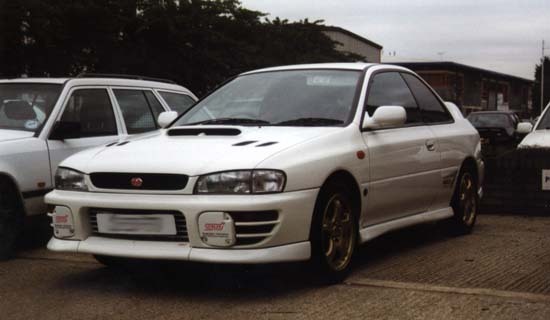 In back to back tests, two IWOC members compared their cars, and the owner of the STi-4 preferred the handling and sure footed nature of the 1995 UK car which had visited Prodrive. He is now investigating either a Prodrive upgrade (difficult as this is only officially available for UK cars though a franchised dealer) or a Leda upgrade from Scoobysport. A recent track day at Castle Coombe also proved the same point with a Leda equiped MY96 UK car being able to lap at a similar rate as a standard '98 specification STi even though it was faster down the straights. To quote the owner of the STi "If you believe Subaru's figures I have 70 bhp more than Adam and this showed on the straights but around the corners the standard 'geometry set' STi was outclassed." A similar experience was seen at the last Donnington track day from another owner "My STI V was taken on the track yesterday. I drove it hard for quite a few sessions with no problems. My lack of driver ability and Pete's Scoobysports equiped cars left my rear view mirror full with UK cars on occasions. A brake upgrade is needed. 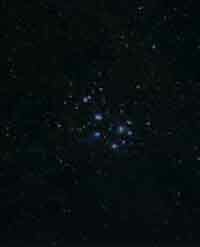 I left them on the straights but they caught it all up on the corners." Finally, if you are after a left hand drive version of a WRX STi then there seems only to be one option open to you. Prodrive as mentioned above, use the WRX STi Type R as the donor vehicle. Part of the modification, strip down, preparation can also include changing the donor vehicle to LHD from RHD. No WRX's to Japanese spec. are produced in left hand drive form from Japan!